How do Mormons reconcile an all-powerful God with suffering? Mormons (members of The Church of Jesus Christ of Latter-day Saints, the Savior’s re-established Church in our day) believe that God is all-powerful and has every capacity to intervene in our lives. He gives us, and accounts for, however, the agency of man, a gift which is above price. As a result, while He can and does intervene consistently in our lives under many circumstances, He sometimes allows us to undergo the results of our own choices, others’ choices, or natural occurrences. He feels with us as we struggle and promises to work all of experiences for our ultimate good. The Savior Himself has personally endured each of our pain, illnesses, and suffering and knows how to succor us in those infirmities. His perfect plan for our growth includes learning from opposition–sickness, well-being; right and wrong; light and darkness. It is through grappling with the vicissitudes of life, relying on the atonement of Jesus Christ, that we are able to grow spiritually and reach our divine potential. but does not know how to stop or at least lessen our pain? The existence of suffering seems to demand that we deny at least one of God’s attributes. Of course no believer of any stripe, Mormon or otherwise, can do that. We assert that God has whatever power there is, that he loves us with whatever love is possible, and that he knows all that can be known: he is omnipotent, omnibenevolent, and omniscient. In what would we have faith if it were not in such a being? But there seems to be a fundamental philosophical incompatibility between the assertion of these three attributes and the existence of suffering. So what is the answer? To stop doing philosophy on this issue. The problem is in the approach: Since philosophy cannot solve the puzzle, we ought not to continue to deal with it philosophically. Job did not understand his suffering, but his lack of understanding wasn’t an intellectual puzzle. It was a test of his integrity. Faced with the death of his family and his own suffering, he said of God, “Though he slay me, yet will I trust in him” (Job 13:15). In the Book of Mormon, a second scriptural witness of Jesus Christ, King Benjamin admonishes us, “Believe in God; [. . .] believe that he has all wisdom and all power, both in heaven and in earth; believe that man doth not comprehend all the things which the Lord can comprehend,” and reminding us of what that implies, he says, “I would that ye should always remember, and retain in remembrance, the greatness of God and your own nothingness, and his goodness” (Mosiah 4:9, 11). Not all problems are amenable to philosophical solutions. Giving up on philosophy’s ability to solve this problem, however, is a small loss if any at all, for ultimately suffering is not a philosophical problem. With Benjamin and Job we recognize that there are things we cannot explain rationally, philosophical puzzles we cannot answer. But suffering is a real problem rather than a mental puzzle. It is a problem of our lives and the lives of others, a problem that requires our action rather than merely our thought. It needs our faithful, trusting, and thoughtful action, and we must trust in God’s power, knowledge, and love in order to act with confidence. In the face of suffering—our own or someone else’s—the question is not, “How is this possible?” but “What can I do?” Acting to end or alleviate suffering is the most rational response to it—more rational than any possible philosophical resolution—for such acts imitate the sacrifice of God himself, who suffered to save us from our suffering. Paul Ricoeur, “Evil, A Challenge to Philosophy and Theology,” Figuring the Sacred: Religion, Narrative and Imagination (Minneapolis: Fortress, 1995) 249-61. 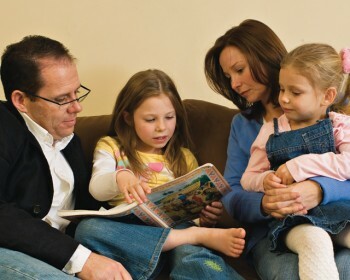 Mormon Beliefs: Why is there pain and suffering in the world? Tasting God’s love in our lives includes rather than excludes times and situations of pain and complexity and hurt and grief and indecision and disappointment and depression. While some of us see His hand in some parts of our lives, we may tend to want to bracket the rest, apologizing or losing joy permanently over what seems an anomaly to the plan or an inexplicable disappointment. Pain is a difficult thing to see and understand, unless we have the bigger picture. If we don’t, this is where many of us bow out of God’s presence and think He has bowed out of ours, where we duck from our testimonies fearful they will let us down. And, too, it’s easy to expect pain-free lives as followers of Jesus Christ, but as one member of The Church of Jesus Christ of Latte-day Saints (Mormon) stated, “The gospel is not an exemption from pain; it is a resource in the time of pain.” I testify that God’s handwriting is always evident, even if we cannot make out His complete message to us at the time. I testify that He is in the labyrinth of our lives as well as in the straightforward moments, or God would cease to be God. I remember when my mother was diagnosed with pancreatic cancer. I’d like to share a portion of that story with you, in the hope that you may feel that God is aware of every second of your deepest sorrow or physical trial. I was tracking Mom’s oxycodone by the hour and seeking to increase it, according to physician instructions–and hospital-protocol fliers posted in every other hallway–for Mom to be close to pain-free. But the lag time between increased doses created a valley of despair for her. As the lady was leaving the shop, the silversmith called her back, and said that he had one more thing further to mention–that the silversmith only knows when the process of purifying is complete, by seeing his own image reflected in the silver. As this story re-entered my soul, I knew that every second of Mom’s pain–and, by extension, each of ours–was counted. I just received the answer to one of the two questions I posed, a sure witness that pain is quantified. And while I still didn’t know how, that didn’t seem to matter. The Holy Ghost bore record, that God the Father and the Savior know to the second, what is apportioned and appropriate and sufficient for the refinement we require. Notice how the second question, “How dost thou qualify pain? Through this same account, the Spirit etched into my soul a knowledge that pain was also qualified by the Refiner. He would see our image when the work was complete. He wouldn’t just know how many seconds to keep us in the heat; He also knew precisely the intended, specific quality of the final product. God was in control of the quantity and quality of pain in this trial. There was no margin for error. What a clear response to a child’s question in time of adversity. God’s hand had certainly not disappeared nor had it been idle. I stomped my foot and said, ‘Be on your way,’ and paused there, startled at the look he wore. And patience, I have taught you. Shall I go? No pain that we suffer, no trial that we experience is wasted. It ministers to our education, to the development of such qualities as patience, faith, fortitude, and humility. All that we suffer and all that we endure, especially when we endure it patiently, builds up our characters, purifies our hearts, expands our souls and makes us more tender and charitable, more worthy to be called the children of God (Orson F. Whitney, ibid). In fact, whenever I asked, whenever I needed the bigger picture reinforced, I received an answer. Just as Mom was receiving an additional dose of morphine as needed, at the press of a button, I, too, received spiritual boluses and intravenous injections of faith p.r.n. I’ve come to understand a little more of what it means that each of our hearts will need to be pruned, pressed, and purified, much like the olive tree and olive oil that symbolize the process, the Purifier, and the product of a pure heart. I’ve thought about this connection, between the oil, the press, and our own presses, and share my thought-journey. Homer called it “liquid gold.” Athletes used to smear it all over their bodies. It was used to anoint, to cook, as a source of light and therapeutic ointment for centuries. It was infused with flowers and grasses to produce both medicine and cosmetics. This liquid gold is commonly known as olive oil. I grew up with it, doused on tomatoes and parmegiana, in authentic Italian “gravy” (you call it “sauce!”), combined with vinegar on salads, glittering in the bottom of a bowl waiting to be soaked up by crusty Italian bread. It was the indispensable oil of my Mediterranean forebears, the salutary ingredient in native cuisine and the same base for ordinations of rulers. I was intrigued with its healthful properties earlier in my life, but am more-so now, having been anointed, initiated, blessed, and healed as this oil has been placed upon my head–consecrated by rightful administrators of the priesthood of God. I have felt its purifying influence and have come to appreciate its significance. Olive pressing is an incredible process and immediate metaphor. Before olives are pressed, they are carefully weighed and poured through a mesh screen to separate out their leaves. They must be harvested at just the right moment and taken to the press immediately so they don’t deteriorate. After they’re washed and rinsed, they are sent to the crusher. I have seen photos of 3500-pound granite wheels used to crush olives. They are mammoth. The olives are laid out in a large steel container as the huge stone wheels relentlessly rumble in continuous circular movement over them, crushing them into paste. They are pressed into paste first, to help release the globules of oil. And then they are churned causing the oil to bead up for extraction. All of this, as you can imagine, is a labor-intensive and ingenious work. The finest olive oil producers–just as the greatest Harvester of Souls–know the olive, the precise moment of harvest, the time to crush, the way to carry them to the press (they can be damaged even by their own weight), the best method of releasing the purest oil–creating an extra-virgin product. As we feel the press on our hearts, then, we can know the Lord of the Vineyard is the one extracting godhood from us, and that He, too, went through the press–the combined press each of us will pass through, in a way we can barely begin to grasp. The Savior was, spiritually speaking, trodden upon, trampled, crushed until the very tissues of the heart [cried] out for relief and release and until “mercy [had] compassion on mercy and claimed her own (D&C 88:40), that he may know, according to the flesh, how to succor his people. (The Olive Press: A Symbol of Christ, FARMS, pgs 5, 7). It borders on inexpressible that the Savior was innocently pressed beyond anything we could ever bear, and that He now is our advocate in our heart-presses, allowing the nectar of our potential to produce in us. So, the crushed oil is virgin. The silver refined by the Refiner is perfect when finished. Pain, too, will work towards our eternal lives. We’re here, now to experience all that comes with a body, to refine our spirits in the turbulence and triumphs of this mortal sphere. And we’re promised it will be worth it, if we endure faithfully.